An open-architecture, complete booklet making system that staples, folds, forms and trims in a single pass to produce added value SquareBack™ books. 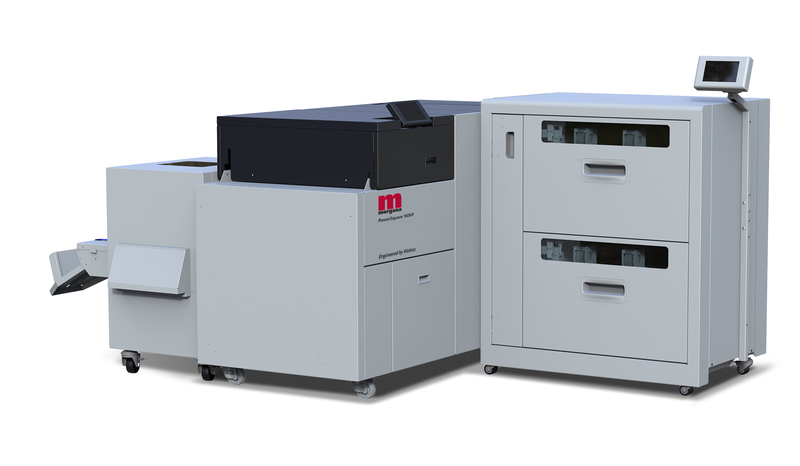 The NEW PowerSquareTM 160VF with its high capacity dual bin feeder offers a flexible solution for a wide range of booklet types and sizes. The system is fed by the VF vacuum assisted feeder which has a loading capacity of up to 540mm, giving long uninterrupted production runs. Pre-collated sets can be placed into both bins for longer runs, or covers can be placed into one of the bins when they need to be merged with collated sets. The feeder can also be loaded on the run with automatic bin switching. 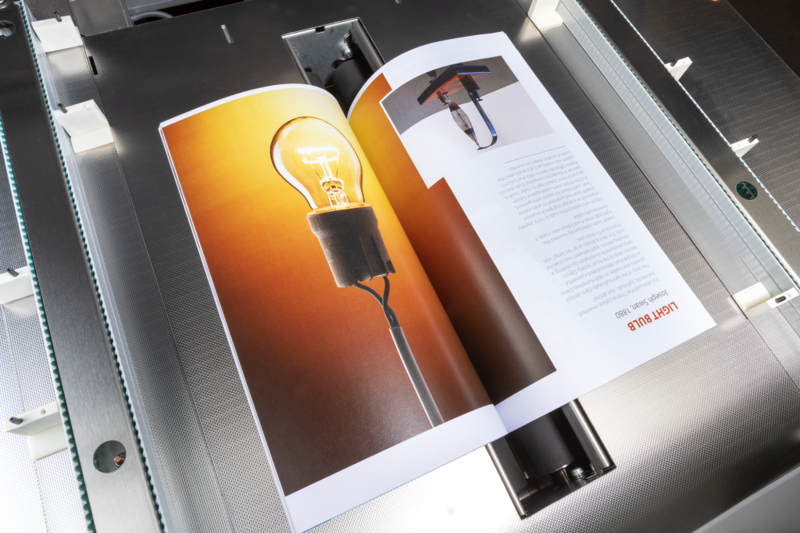 The PowerSquare Two-­Knife Trimmer (P2T) is a compact module that completes the booklet making process by trimming the top and bottom edges of the book. 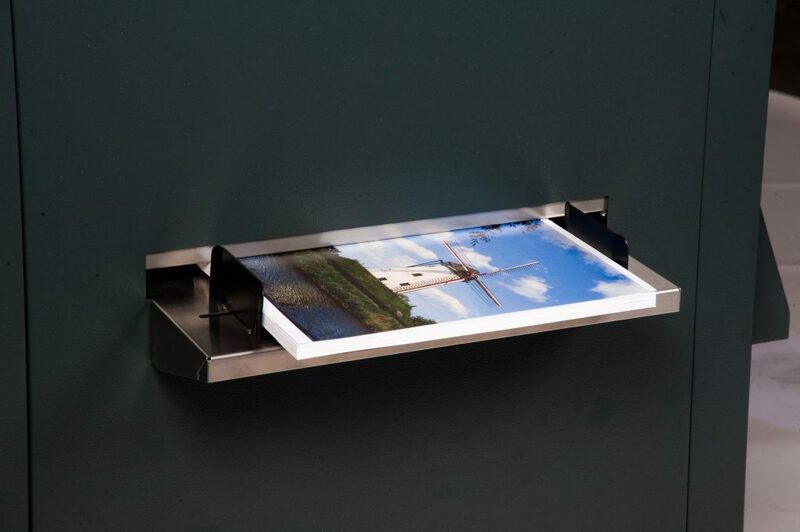 It provides a professional solution for full-­bleed printed work, especially important for colour printed applications. Fully automated from the PowerSquare’s user interface, up to 40mm can be trimmed from each end of the book, and the trim position can be offset to match the image position. All trimmings are transported outside the machine to a high capacity external waste box, allowing continuous operation.